Since becoming a staff developer in 2001, I have had the privilege of being trained by some of the most influential staff developers in our country. 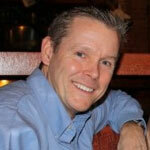 I have learned so much from people like Bob Garmston, Art Costa, Bruce Wellman, Rachel Billmeyer, and Eric Jensen. They continue to influence me and helped me become the staff developer that I am today. One other person I feel that has influenced my practice is Michael Grinder (www.michaelgrinder.com), who is known nationally for his work with group dynamics, leadership, and corporate and educational non-verbal communication. One of the nuggets of wisdom that I hold from my work with Michael is whenever you can “Go Visual”. With only a small number of us who are auditory learners, Michael Grinder encourages educators to “Go Visual” as a way to effectively manage your class. As I encourage educators to use many of Grinder’s non-verbal strategies such as exit directions, third points, and visual paragraphs, I made the connection of “Going Visual” with my work in Project-Based Learning. In a Project-Based environment, the role of the teacher shifts from being the distiller of knowledge to the facilitator of learning, inquiry and discovery. The teacher becomes a project manager and coordinates the flow of the project. They not only need to manage the overall project outcomes but also project teams, individuals, check-points, rubrics to assess, public audiences, presentations schedules, entry events and all the other 8 essentials of Project-Based Learning. This tends to be the biggest concern of Day 1 participants of PBL-101; how they will manage all the moving parts of the project. Project Calendar: checkpoints, assessments, mini-lessons, due dates for products, etc. While doing our PBL coaching in Central New York my colleague and I have been impressed by the number of PBL classrooms with project walls. Every room in the OCM BOCES Cortland Alternative School has a project wall for each of their individual projects. While attending OCM BOCES’ REACH program, we found a project wall that was in a shared space for a multi-disciplinary project three teachers were working on. This shared project wall provided a big picture visual for both students and teachers while articulating how each content area was integrated into the project. 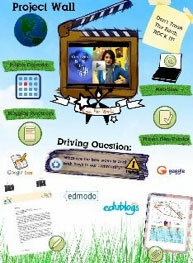 Some teachers create virtual project walls by using the Web 2.0 tool Glogster. 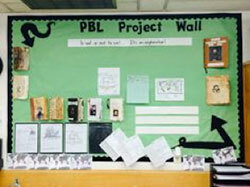 The project wall is a great management tool to be used to show the big picture of a project-based learning experience. 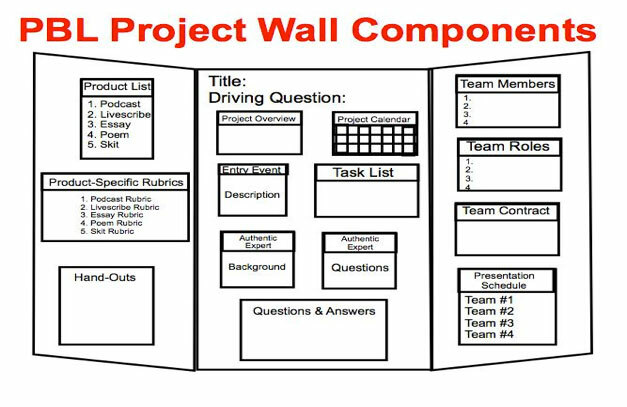 Teachers report that creating a project wall as part of the planning process is well worth the time and effort. Not only does it allow them to provide an organized visual for their students, but the added step actually causes them to think more deeply about all the moving parts of their project. Use the attached rubric to evaluate how effectively you have designed your project wall. This entry was posted in Instructional Support, Project Based Learning and tagged Project Based Learning, project wall, teaching by OCM Boces Instructional Support. Bookmark the permalink. maybe it is my lack of skill, but, I would have liked to zoom the picture to see more clearly the display of PBL Project wall. I very much agree that my role as a teacher has moved from a spout of knowledge to a coordinator of discovery. Much more exciting to teach 1st graders this way.